Let us meet all your cutting and sewing needs! 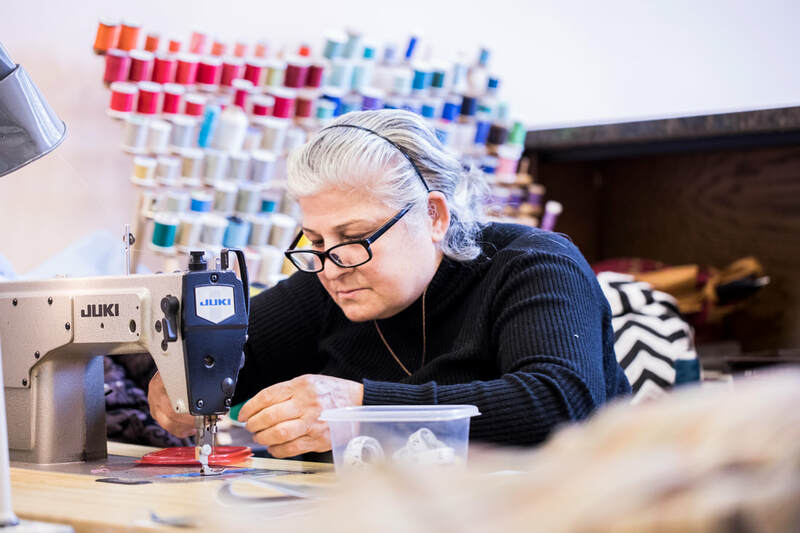 RefugeeOne's Sewing Studio is staffed entirely by refugees who have been equipped with advanced sewing skills through our vocational sewing courses. Partner with us to complete custom production-oriented products. 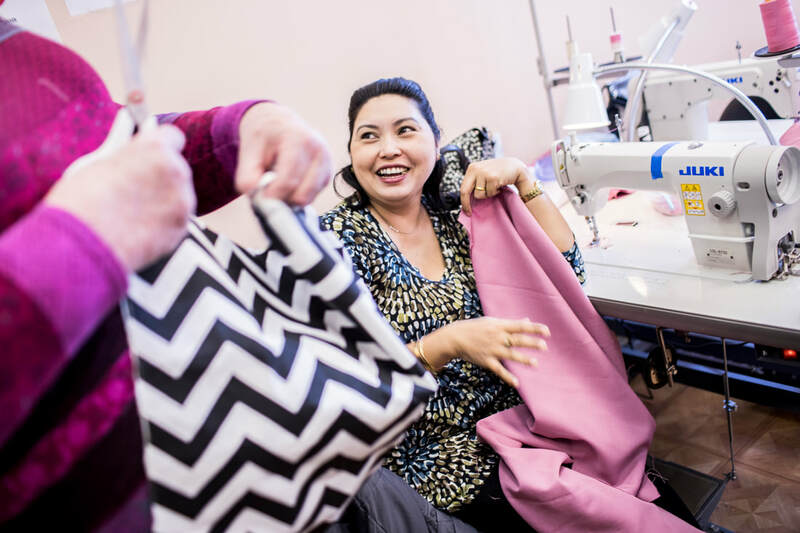 "I would not hesitate to recommend RefugeeOne's Sewing Studio for your project needs. They consistently exceed our standards for quality and are always timely. We feel fortunate to have this resource for our growing business." "We're honored to have such amazing, strong people included in the foundation of our company. It's truly one of the elements of our brand that most resonates with and inspires our customers." Photos of students courtesy of Alyce Henson.